Pavement striping can signal pedestrians and drivers on paved surfaces of directions, upcoming obstacles, and more. With FAIRBANKS PAVING CO. in Oroville, California, we ensure that your markings are clear, attractive, and long lasting. We will stripe your new or existing installation based on your needs and local regulations to ensure that your pavement meets your needs and clearly directs motorists and pedestrians alike so that everyone can move about safely. You can choose to have your pavement striped during installation, or at a later date. We also restripe existing installation. 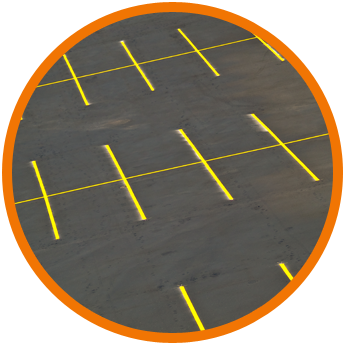 Pavement striping is useful for parking lots that are newly installed or those with fading lines. It provides a clean, crisp look for your pavement. Newer, clean striping also ensures that your business looks sharp from the second clients step out of their car to your door. This service is ideal for commercial clients, though we will work with anyone that needs our services. As with all of our services, pavement striping is done to suit your specifications. Contact us today to schedule your free estimate and discuss your striping needs with our experienced team. You'll get the results you want when you choose us for pavement striping.